Blue Man Group, continuing its open run at Chicago's Briar Street Theatre (3133 N. Halsted), will provide a new experience for Chicago visitors beginning November 8 by unveiling brand new content featuring new instruments, technologies and audience interactions. Developed by Director Michael Dahlen and Creative Director Jeff Turlik, the new elements joining the Chicago production celebrate Blue Man Group's commitment to experimentation and evolution. 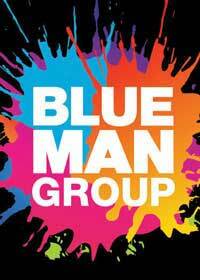 "When developing pieces for Blue Man Group, we are constantly asking ourselves, 'What would the Blue Men do? '", said Michael Dahlen, Director. "In both the new and iconic content for the Chicago show, we follow the Blue Men as they explore various aspects of our rapidly changing world and celebrate our shared joy of being alive. Couple that with moments of playfully uncomfortable audience participation and you've got a unique experience like no other to love." Newly constructed and remastered instruments such as the Spinulum, Light Horns and Trigger Vibes will bring expressive new sounds to Blue Man Group Chicago. Made from industrial materials, the Spinulum is played in a similar fashion to a slide guitar by moving a specially-made hand grip along the stainless-steel neck of the instrument while rotating a clear plastic disk. Light Horns will allow the Blue Men to call out to the audience in a never-before-done fashion. Part deconstructed xylophone, part drum hardware, the Trigger Vibes will present new but oddly familiar electronic sounds. Original music compositions will also be featured in the Chicago production including the theatrical debut of "Vortex," a piece from Blue Man Group's latest studio album "THREE." New commentary on culturally relevant themes such as social media, connectivity and technology will be introduced in pieces such as Fast Friendz! and the Blue Men's engagement with virtual reality headsets backstage during the show. Fast Friendz! playfully and hilariously spoofs society's over-reliance on technology to enhance their lives. The new content will also create a deeper connection between the audience and the Blue Men by acknowledging and featuring the audience more prominently throughout the show. One lucky audience member will even be given the opportunity to share the stage with Blue Man Group like never before-becoming a true rock star by playing alongside the Blue Men on yet another new instrument, the Mag Bells. Blue Man Group is loved by audiences young and old for its ability to surprise, awe, confuse, humble and entertain. Specific iconic elements of Blue Man Group's ensemble such as the creative uses of paint or the Blue Men's uncanny ability to throw, catch and make art from an unlikely medium have become ingrained in Blue Man Group's DNA and are expected and desired by fans. These moments will remain as celebrated components of the production. Guests of the November 8 performance are invited to enjoy a special pre-show celebration at the Briar Street Theatre from 6 p.m. - 8 p.m. A variety of free activations will be offered alongside cocktails and hors d'oeuvres including music lessons with various Blue Man Group instruments taught by Blue Man Group performers, a customized fan art experience, photo opportunities and more.